The cotton construction is crucial because it's breathable, cool to the touch, and a plus in the protection factor from dust, various allergens, and dust mites etc. The price for a two pack is great and hard to ignore. There are other choices but the man made materials for me just won't do. This is the way to go. Very satisfied and would recommend to a friend. Home territory searches the web to find the best prices and availability on Pillow Protectors and related products foir your home like AllerEase Cotton Allergy Protection Pillow Protector, 2pk. 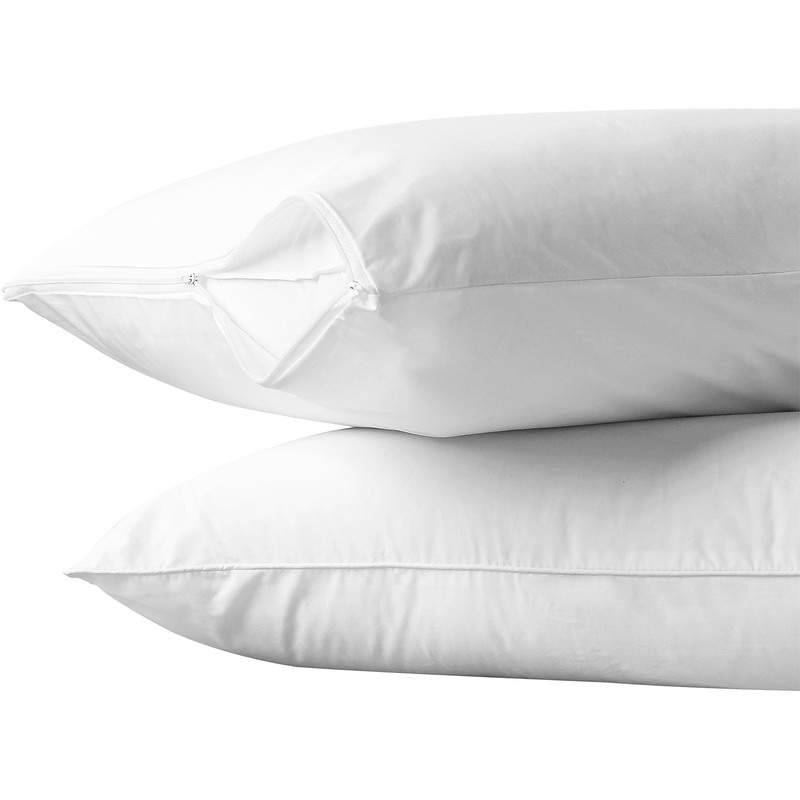 For this page, related items include products we find that match the following keywords: "Pillow Protector|Pillow Cover" at our vendor partner Walmart - Click More Info / Buy Now to check for price rollbacks!. AllerEase Cotton Allergy Protection Pillow Protector, 2pk is one of 77 Pillow Protectors and related products available for sale through HomeTerritory.com, If you have any questions on this product, please give us a call at 734-971-1210 during the hours of 9am - 5pm EST for assistance. Thank you for shopping at Home Territory, the home furnishings superstore!